Sewer odors and foundation shifting are just two reasons you would need to test your sewer pipe under a slab. Leaking sewer and drain lines under a slab can also cause mold growth in your home. Not only are slab leaks a health risk, but these types of leaks can be the most costly to repair. If you suspect you have a sewer pipe leak under your slab, contact your home owners' insurance for direction; your insurance company will provide a listing of certified slab leak specialists. Leaks under a slab can cause foundation shifting. Locate your sewer clean-out. In homes with a basement, there should be a Wye fitting in the main sewer line before it leaves the basement wall or floor. Homes without a basement should have a clean-out pipe in either the front or back yard; the clean-out pipe will be visible at or above ground level. Not all homes will have a readily available sewer clean-out; the builder may not have taken the initiative to install one. Insert the test ball into the sewer line between the clean-out pipe and the house. Use the appropriate size equipment; a 3-inch test ball in a 3-inch sewer or 4-inch ball in a 4-inch sewer. Inflate the test ball with an air compressor or bicycle tire pump to the manufacturer's recommended air pressure. Failure to inflate the test ball correctly could result in a faulty test. The sewer has to be sealed, no water can escape or it will void the test. 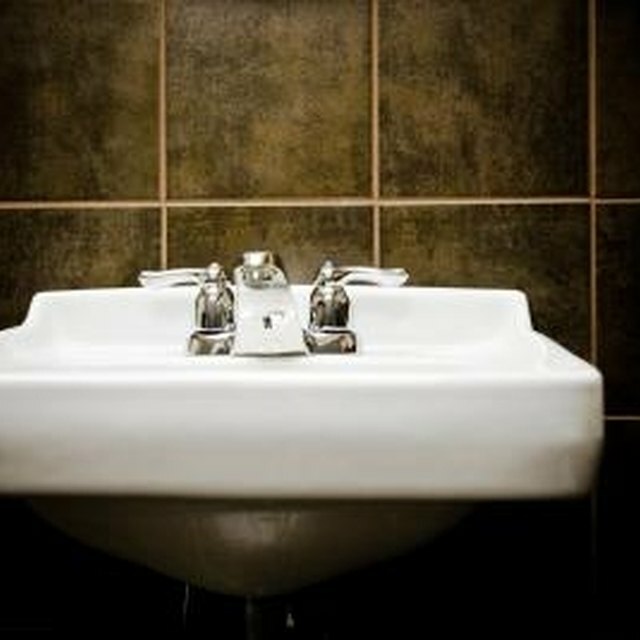 Turn on all the cold water faucets inside your home and let them run until you see water rising in the lowest drain. Immediately shut off all the faucets that are running water. Wait a 2 to 3 minutes for the water level to balance out in the drain lines; trapped air pockets may escape, this can be deceptive since you are looking for the water level to drop. Mark the water level in the tub or shower with an erasable marker. Observe the water level every 15 minutes for an hour. If the water level drops below the mark you made, check to make sure the test ball or plug is holding tight and no water is leaking through. If there is no water leaking through the plug, you have leak in the sewer line below the slab.